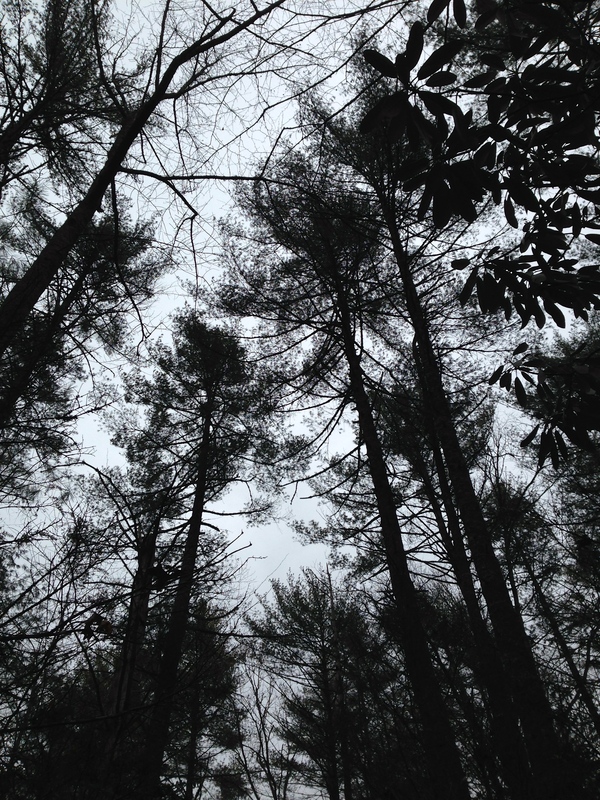 I’ve seen a lot of beautiful vistas, gorgeous trails, and incredible mountain views. But, I have never been to a place before and truly fallen in love with it; felt that I was in a place that I belonged, that understood me. 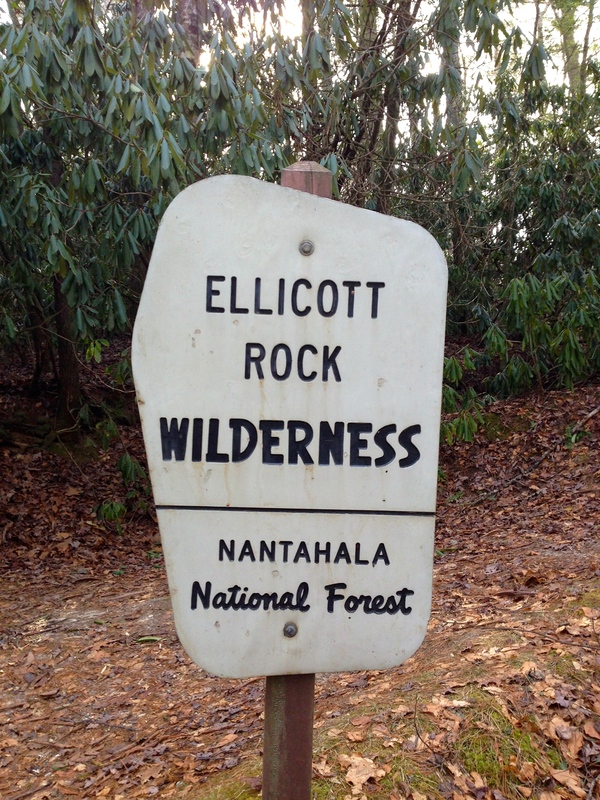 I have fallen in love with the Ellicott Rock Wilderness. 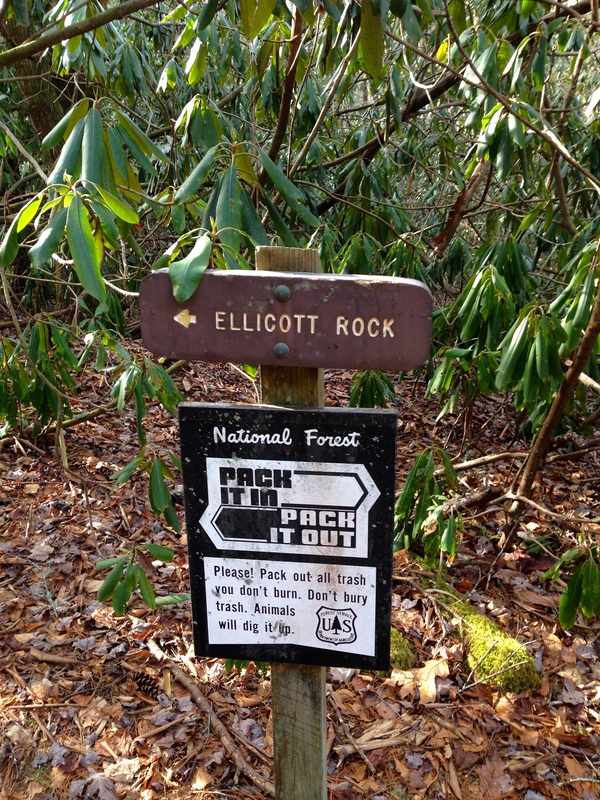 Gracie and I started from the entrance on Bull Pen Road, near Fowler Creek at the trailhead for the Ellicott Rock Trail. 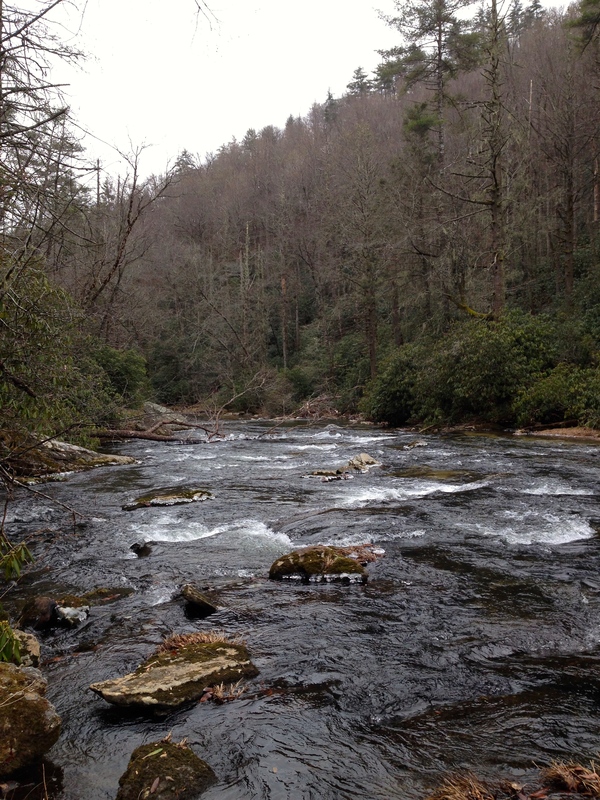 Designated a Wilderness area in 1975, the area seems to not have aged at all since that time. 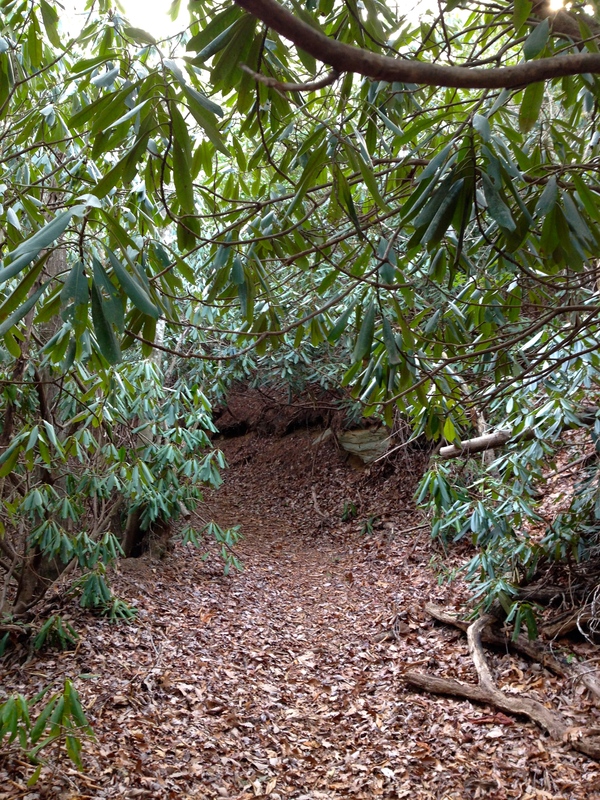 The trail has wonderful meandering paths filled with rhododendron and pines everywhere. At several spots they form canopies that you walk under. 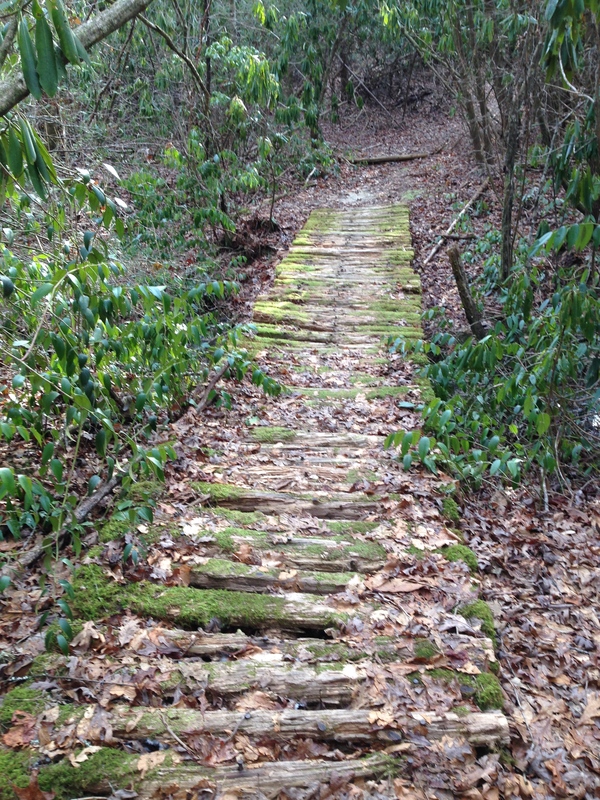 After 2.3 miles the trail begins a series of classic switchbacks down to the Chattooga River. Total mileage in-and-out is 7 miles. Shh….don’t tell anybody. Glad you hit it on a day with nice hiking weather. 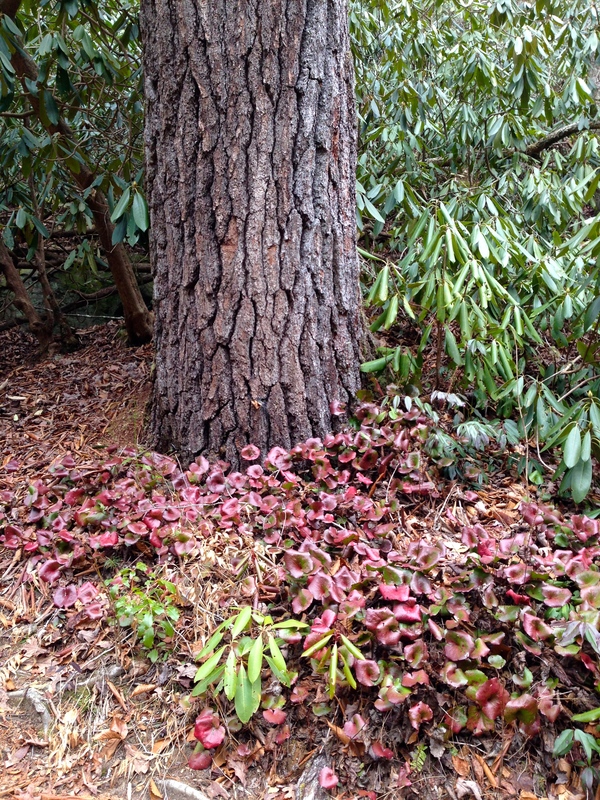 Looks like a nice patch of galax around the base of that pine. Sounds like y’all made the most of a January weekend, and then the Wolfpack put the icing on the cake!